Welcome to the best in salon design. Located in the creative centre of Shoreditch, The Old Truman Brewery is an iconic landmark situated on Brick Lane E1. The showrooms rivals central Londons largest floorspace of Furniture ,Equipment and accessories for the Hair & Beauty industry, we are open monday to friday 10am - 5.30pm and can book appointments out of hours by appointment. The Building has 24 hour access !! The showroom is within 5-10 minute walk from Liverpool Street Tube station & Aldgate East Tube Station, please contact us to meet you from the reception at The Old Truman Brewery. We have a car park facility to offer visitors which shall be redeemed upon validation of a receipt from the attendant . 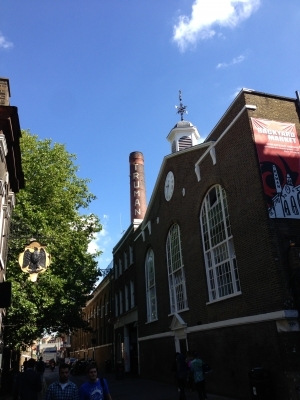 Once you have organised your visit with our sales team and perused our selection of furnishings ……why not enjoy a meander around Spitalfield’s market, Shoreditch Designer boutiques and finish off with a curry on London’s famous Brick Lane, all these landmarks are with 2 minutes walking distance of the showroom……Enjoy !